The sprinkles had just finished, the humidity still clinging and cloying, and the clouds still dark and heavy. It was time to pick up Joey from school and as I was putting away my laptop and hunting for my phone, I heard a racket going on in the backyard, which had been silent for most of the afternoon. Just outside my office window stands a holly tree covered in bright red berries. As I neared the window, something small and lithe and graceful flew out of the branches, its beak holding a little red berry. 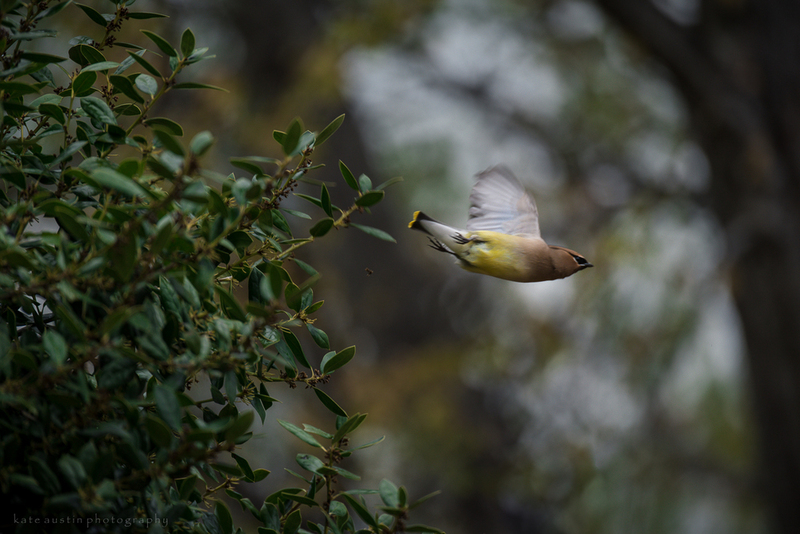 I traced its flight with my eyes to our leafless oak tree, still deciding whether or not to put out little leaves, and I saw that the branches were filled with one of my very favorite birds, cedar waxwings. 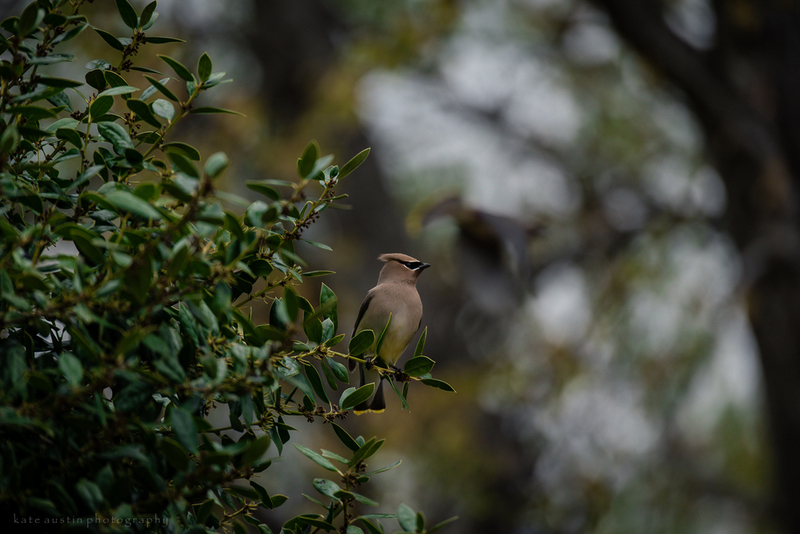 Cedar waxwings look like little porcelain birds, sleek and smooth, wearing a black mask around their beady eyes. Their underbelly is a brilliant Easter egg yellow, while their top feathers are a dove grey/blue with just the very tip of their tail a matching yellow. Their heads are a fawn color, topped off with a sharp crest, which sets off their robber mask quite nicely. They are indeed robbers and bandits. They had the holly tree stripped bare in a matter of minutes, leaving not one berry behind, before swooping over the fence and heading east. I think I saw this same flock last week on one of my runs, all lined up on a telephone wire, chittering and chattering away, covering the wire from pole to pole. Wouldn't you love to hold one in your hands? This will probably be the last I see of this flock, hopefully not, but my dad thinks that they may be heading north and won't be around much longer. But if they're on their way to colder climes, does that mean that spring is here to stay?